If you dislike bass grooves, drum fills, and anything to do with electric guitar, you will hate Fletcher. Their second EP, Open Arms, is the result of a tight power trio, with Oscar Baker on vocals and guitar, brother Harvey Baker on bass, and Tom Fry on drums. 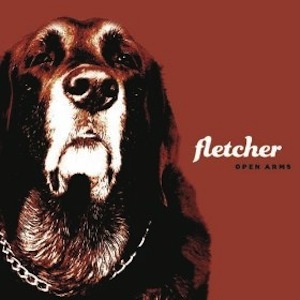 Over six songs, Fletcher expands on conventions of Brit-rock with universally strong instrumentation and prominent melodies. Fitting, then, that closer “Look To The Clouds” does exactly that: it’s the one song where the trio really attempts to expand their sound into a more encompassing, overwhelming landscape with swirling, dreamy synths. And, just like every other song on this EP, they succeed.